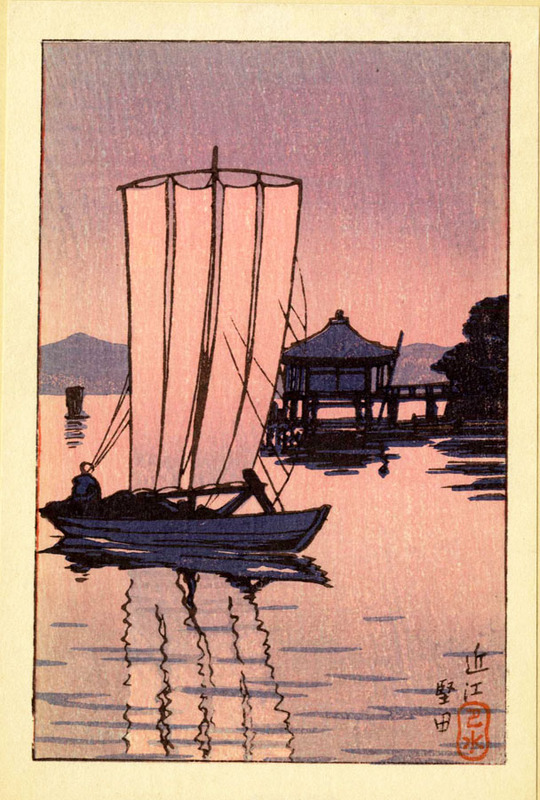 Hasui, Kawase - Small format (1883 - 1957), "Katada, Omi (Purplish-pink Version)"
Notes: Stamped on the reverse, "Made in Japan". Red "Hasui" seal in lower right corner. Still tipped to the original folder and never displayed. The seldom seen purplish-pink color state.